You don't have to eat it, but you do have to try it. This has got to be our favorite tip of all time! How do you get your kids to be adventurous eaters? How do we get them to try new foods? It's not as hard as you think. 1. Start when they are infants. Encourage them to smell and play with their food. Talk to them about how the food tastes, looks, and feels. They won't understand what you are saying but their interests will be peaked by your encouraging and soothing voice. 2. Serve new foods in small unthreatening portions. It can be as small as one or two pieces at a time. Also, try serving new foods alongside healthy food that they already enjoy. A meal made up of entirely new foods is a daunting task for anyone! 3. Act casual, relaxed and lighthearted when serving new ingredients. This non-challant attitude with lead to success. Without the pressure, everyone wins. 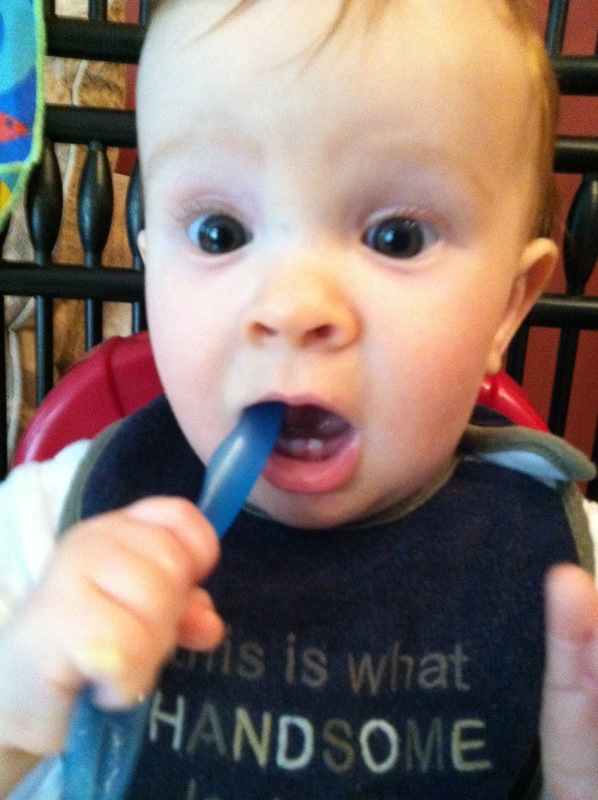 Food is an enjoyable experience, make sure to set the tone regardless of how your child reacts. 5. The No Thank you bite. You don't have to eat it, but you do have to try it. This is a great rule for children who are old enough to be reasoned with. If you are consistently maintaining a stress free environment (see #3) this rule is easily accepted. They absolutely do not need to eat the whole portion, just taste it. You can then talk about why they didn't care for it (if that's the case), was it the texture, the flavor? And avoid using the words, "didn't like," instead try "don't care for it yet," "that tastes different," and "haven't acquired the taste." These conversations will bring out the little foodie in your kids! A word: Some children (such as those with Autism) have a relationship with food that may be very complicated. These tips may be helpful but having the advice of professionals is always helpful. The more they help the more likely they are to try new foods. Most of us experience the super market as a chaotic and stressful trip, often with children in tow. On those glorious days where there's a bit of extra time and life seems to slow down just a tad, why not have your little kitchen helpers give you a hand? In other words, time for a quick art project! 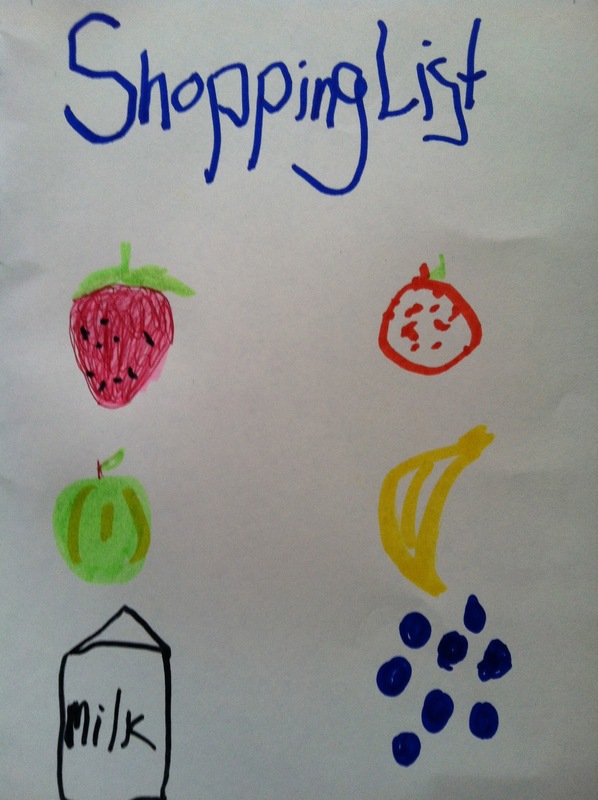 Have your little ones create a list in picture form that they can use to check off items as you shop. While creating the list you can ask them thought pondering questions like where do tomatoes come from? Do they grow in the ground or on trees? Is this bread whole wheat? Where does wheat come from? What does spinach do for your body? Makes you strong, of course! Obviously this can't happen on every trip, but it sure is a fun activity for every once in a while and will remind your children to think a bit more about the food they eat. Just like with cooking, children are more prone to trying food that they've had a hand in selecting. Serving up healthy recipes and tips that will bring out the little foodie in your kids.